Philadelphians have used various transit tokens over the years. But SEPTA will begin phasing them out of service with the introduction of its Key card. SEPTA tokens will soon, mercifully, be dead. After the much-anticipated (and oft-delayed) SEPTA Key debuted last year, this reality for Philly commuters was an inevitability. 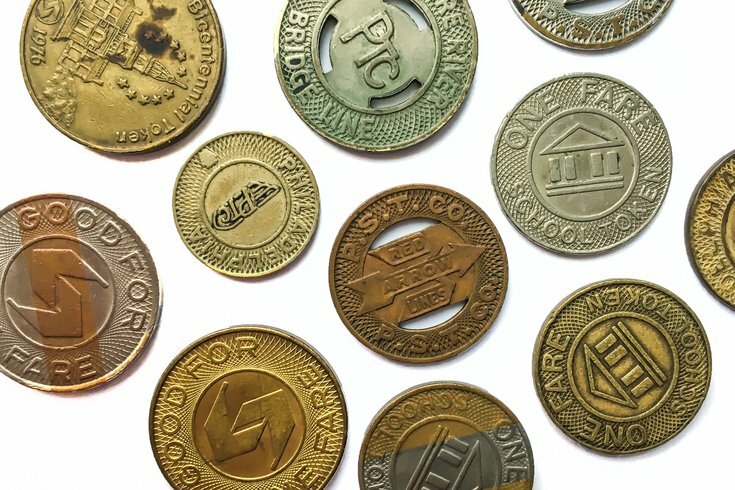 SEPTA was the last major transit authority to use tokens, which date back to the 1830s. The agency's chief officer of ridership, Dennis Hiller, told PhillyVoice flatly in October 2016 that the plan was to phase the tokens out. "That's why we're doing what we're doing. There's no ifs, ands or buts here," Hiller said. "(The SEPTA Key is) the new system. In order to move accordingly, we need to do this." More than a year later, SEPTA has finally given an official funeral date for tokens. The process will begin in mid-January when cashier sales will end and remaining token machines will be removed over a six-week period. SEPTA customers who still have tokens will be able to load them onto their SEPTA Key cards at fare kiosks. For those who still haven't made the switch to the SEPTA Key, here are the basics: You buy essentially a debit card at SEPTA subway stations or sales kiosks. You need to fill it with a minimum of $10, and it works on buses and the Broad Street Line and Market-Frankford Line subways. For more information on the SEPTA Key, click here.